NEW YORK — New York City has been selected to host NBA All-Star 2015, NBA Commissioner David Stern announced today. New York City Mayor Michael R. Bloomberg; James L. Dolan, Executive Chairman, The Madison Square Garden Company; Hank J. Ratner, President and CEO, The Madison Square Garden Company; Irina Pavlova, President, ONEXIM Sports and Entertainment Holding USA, Inc.; and Bruce C. Ratner, majority owner and developer of Barclays Center and Executive Chairman of Forest City Ratner Companies, joined Commissioner Stern and Deputy Commissioner Adam Silver for the announcement at the NBA Partner Forum held at Industria Superstudio in New York City. 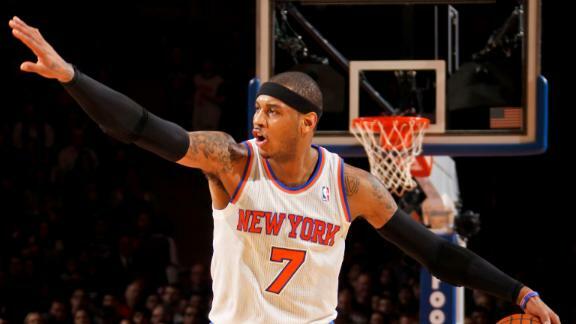 The 64th NBA All-Star Game will be played at Madison Square Garden, home of the New York Knicks, onSunday, Feb.15, 2015. The BBVA Rising Stars Challenge, Sprint NBA All-Star Celebrity Game and State Farm All-Star Saturday Night – including the Sears Shooting Stars, Taco Bell Skills Challenge, Foot Locker Three-Point Contest and Sprite Slam Dunk – will be held at Barclays Center, home of the Brooklyn Nets. As part of NBA All-Star 2015, the NBA and its partners will host a variety of community, grassroots and fan events throughout the city’s five boroughs (The Bronx, Brooklyn, Manhattan, Queens and Staten Island). This will mark the fifth time that NBA All-Star will take place in New York, having been held previously at Madison Square Garden in 1954, 1955, 1968 and 1998. For the 13th consecutive year, the 2015 NBA All-Star Game will be televised in primetime on TNT. It will be the 31st year that Turner Sports provides NBA All-Star coverage. The 2015 NBA All-Star Game will be broadcast to a worldwide audience in 215 countries and territories and in more than 40 languages. NBA All-Star is an event with deep roots in New York City, reaching back to the 1954 game (the fourth NBA All-Star Game overall), where the Madison Square Garden faithful saw the Celtics’ Bob Cousy tally10 points in overtime en route to MVP honors as the East recorded a 98-93 win over the West. Boston had a second consecutive All-Star Game MVP in 1955 as Bill Sharman scored 10 of his 15 points in the fourth quarter of the East’s 100-91 win over the West in the second NBA All-Star Game played at Madison Square Garden. Philadelphia’s Hal Greer shot 8-of-8 from the floor and notched 21 points during the third NBA All-Star Game played in New York City, a 144-124 East win in 1968. In 1998, the most recent contest in New York, Michael Jordan garnered MVP honors as he scored 23 points and added eight assists and six rebounds during a 135-114 victory for the East. NBA All-Star competitions will get underway on Friday, Feb. 13, as the league’s top rookies and second-year players take the court in the BBVA Rising Stars Challenge. Saturday’s festivities will feature State Farm All-Star Saturday Night, an all-inclusive skills showcase comprised of Sears Shooting Stars, a competition featuring NBA and WNBA players, and NBA legends; Taco Bell Skills Challenge, a contest of top guards working against the clock to complete a series of passes, free throws, layups and agility drills; Foot Locker Three-Point Contest, a longstanding staple of the evening; and the high-flying Sprite Slam Dunk. Sunday’s slate of activities will also feature a Sprint Pregame Concert before the 64th NBA All-Star Game tips off. The NBA will continue to demonstrate its commitment to social responsibility during NBA All-Star 2015 with a full schedule of NBA Cares events. NBA Cares will partner with schools, government and local nonprofit organizations in New York and surrounding areas to highlight the league’s grassroots and community initiatives that reach millions of young people and their parents, while providing critical resources to community-based programs. Reserve your Ground Transportation with Bermuda Limousine of New York City!